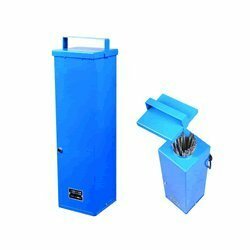 These ovens are used in diverse industrial applications and can be used as Foundry core ovens, Powder coating ovens, Paint baking, Burnout, Drying etc. The air circulation is done with the help of blower from bottom to top that ensures uniform temperature in the chamber. Backed by the skilled and experienced team of professionals, we have been able to meet the growing demands of various industries. For clients across various industries, we have on offer a premium range of incubators. These incubators are designed and developed as per the international standards. Owing to the optimum quality, these are known for smooth performance, low maintenance and easy installation features. We manufacture the best quality of Baking Oven for bakery and industrial purpose. Our team of engineers arte well qualified and has the experience since years which is utilized by them in our company for the precise designing of the Ovens. The ovens we manufacture do not consume much power and performs efficiently. The Baking Ovens we manufacture does not require much effort in maintenance. 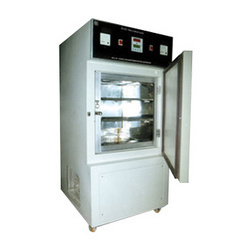 We are a renounced manufacturer of Incubator Ovens in Baroda. 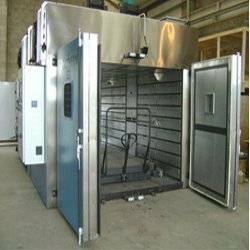 Leveraging on our industry expertise, we have been able to manufacture and offer a quality range of Powder Coating Ovens. These ovens are ideal for biscuit baking purpose. These ovens come with independent zones that comprise a combustion chamber with burner, circulating fan, turbulence fan, and the associated duct work leading the banks of radiator tubes. We are a renowned manufacturer of Heating Oven for Shrink Fitting, which are appreciated by our customers because of its quality commitment and heavy duty cycle. 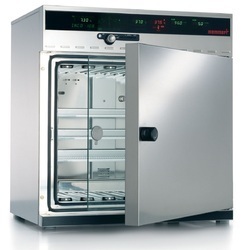 These ovens are available with temperature control and timers. These available in different sizes and can be customized according to our client’s requirements. CAB 300/25 - Maximum Temperature : 300°C. CAB 400/25 - Maximum Temperature : 400°C. CAB 500/25 - Maximum Temperature : 500°C. Of these CAB 300/25 has a thermostat whereas the other two ovens have electronic temperature controls. The ovens are supplied with detachable support rods for loading of the electrodes. 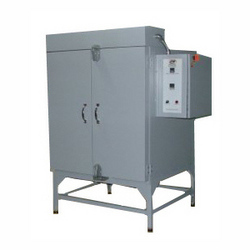 We offer Welding electrodes and Flux Drying Oven. 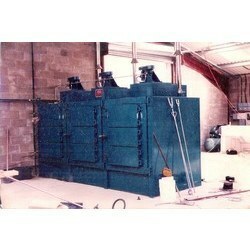 These ovens are with forced air circulation for efficient drying of the welding flux. This oven is indentical to FD 100 except the loading capacity, it is provided with 3 trays of electrode drying and backing. This oven is with 6 loading trays (each of 600 x 600 x 75 mm). There is an axial flow blower on side and the maximum temperature is 400°C. 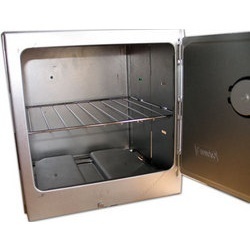 FIXTEMP is a small oven to carry a packetfui of electrodes at 120°C. There is no variable temperature control in this oven. 2. ALPHA PORT 300 is a bigger portable oven with facility to adjust temperature upto 300°C by means of a thermostat. 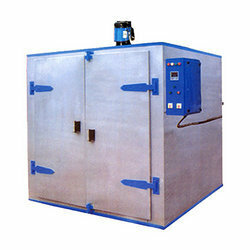 ALPHA PORT - 300 LARGE is a large cylindrical oven with a capacity to hold about 10 Kgs. of electrodes. Also available with non standard operating voltage.